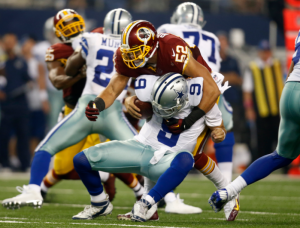 As weve previously mentioned the Washington Redskins lost two linebackers to torn pectorals last season. 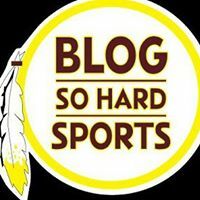 Their best pass rusher and former pro bowler OLB Brian Orakpo (who has said he is now 100%) and their young, promising ILB/OLB Keenan Robinson. We all know the loss of Orakpo was huge and played a bigger role on the defense than the loss of Robinson, but both were significant losses. Robinson tore his pectoral in the Thanksgiving game in Week 12 against the Dallas Cowboys. The Redskins could get both back in time for OTAs, which is great news. 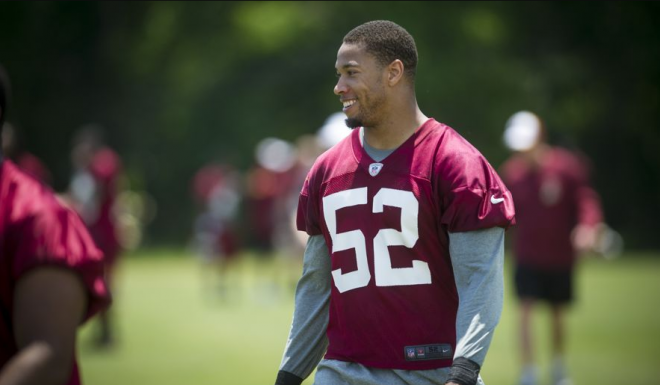 OTAs begin May 20th for the Redskins this year and Keenan Robinson is expected to be back, we dont know at what capacity he will be practicing but just knowing hes close to being full go is a great sign. Robinson had just ten tackles in eleven appearances last season, but he showed a lot of promise, especially in pass coverage and rushing the passer on 3rd downs as well as on special teams. He is only 23-years old and is expected to have a bigger role in the 2013 season as he begins his process to hopefully become London Fletchers replacement. Robinson will have to compete with Bryan Kehl, Roddrick Muckleroy and possibly a draft pick for playing time behind London Fletcher. If Robinson plays well enough he will be viewed by many as Fletchers successor at ILB next to Perry Riley. Last season, as a rookie, Robinson was used mostly on special teams, which he may be looked to contribute again to help replace the hole Lorenzo Alexander leaves. The Redskins feel that Robinson has a lot of upside and some more talent to show them. He has shown good pass coverage and pass rushing skills when given the snaps to do so while spelling Fletcher last season. With opportunity and more importantly health, watch out for a break out season from Keenan Robinson this season.